The Andy Prosser Trio perform repertoire from the “Great American Songbook” Music from composers such as George Gershwin, Jerome Kern, Irving Berlin, Cole Porter and Richard Rodgers and Duke Ellington. They also perform Latin standards and Brazilian bosa nova songs composed by Carlos Jobin. 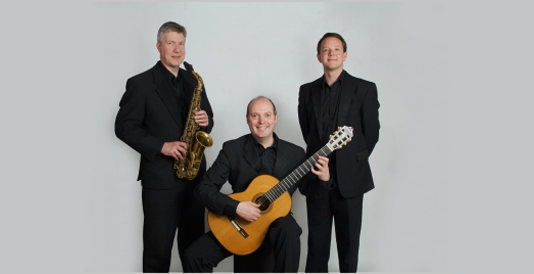 The trio have performed together for over fifteen years. In that time they have performed at renowned venues including Buckingham Palace, Claridge’s Hotel, The Royal Academy of Arts, The Savoy Hotel, Fortnum and Masons, Harrods and the Tate Britain. Distinguished clients the trio have performed for include Price Charles, The BBC, The Olympic Committee, Rolls Royce, The Baftas, Goldman Sachs and FIFA. The trio includes some of Britain’s finest Jazz musicians. Any Prosser has performed with Andrea Bocelli at the World Music Awards which was televised at Earls Court Arena.